Jack Miele always has to find the right balance. Sometimes it’s as simple as fiddling with the levels on the main board at the Music Shed Recording Studio, and sometimes he has to spend the better part of an hour setting up one system to record one harmonica. Miele has a vast array of high tech recording equipment at his fingertips and the chops to know how and when to use it. Tell him what you want from a session and you can see the wheels spin furiously behind his eyes until every cog fits perfectly into place and he springs into action. 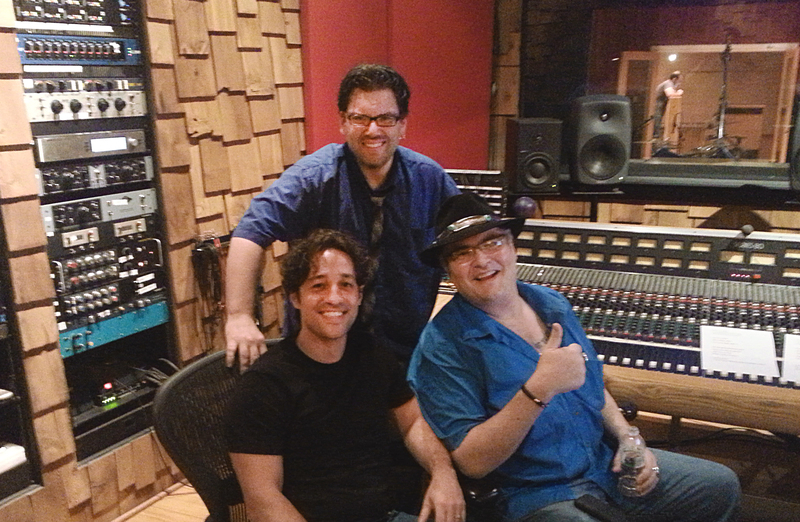 John Popper, Thomas Ian Nicholas, and Jack Miele at the Music Shed. The Grammy nominated audio engineer and Molly Ringwalds guitar player moved to the Music Shed recently after Fudge Recording Studio, which he owned along with Better Than Ezra’s Tom Drummond and Shane Theriot, closed in April. 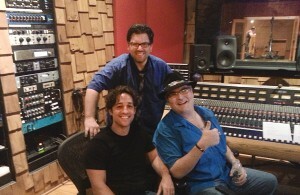 Earlier this month, Grammy winners Blues Traveler hired Miele to produce and engineer several tracks for their next album. Among Miele’s first priorities: making sure John Popper’s signature harmonica sound came across as it should. Popper uses a button attached to his harmonica mic with electrical tape that controls the speed on his Leslie amp’s rotating drum, complicating things even more for sound engineers like Miele and his assistant engineer Ryan Brown. The fine tuning continued with Popper’s vocals, which needed special attention to make sure what Popper had in mind translated across into the recordings. While non-audio engineers may see microphones and preamps as interchangeable, Miele, like an artist, sees them as an assortment of different brushes. Use the wrong brush, and your painting will be flawed. Next up came the perfect microphone. So many options, so many technical aspects to consider to nail down just one aspect of a recording. For Miele, it’s all in a day’s work. And while he may not yet be back at his Fudge board, his current setup is more than enough as he prepares to record Lettuce, Rickie Lee Jones, Dr. John, and many others in the coming months. Editor’s Note: This is the first in an occasional series focused on the technical aspects of making great music designed to shed some light on the people behind the scenes.